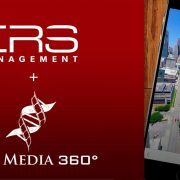 Houston, Texas, June 20, 2018 — Helix Media 360°, LLC, today announced the signing of a national account with Morgan Properties, to provide next-generation virtual tours for all multifamily properties nationwide. This agreement ensures that all Morgan properties have access to powerful customer engagement services that integrate with existing websites and marketing efforts. Helix Media uses high-end equipment, proprietary systems, and a team of expert photographers and web designers to ensure its services offer high-quality, customizable features. Also, powerful reporting tools allow properties to accurately measure the effectiveness of marketing efforts and return on investment. In the hyper-competitive multifamily industry, digital curb appeal is becoming more and more important with over 90% of the buying/showing process beginning online. Helix Tours create a seamless online shopping experience for users who can easily browse various floor plans, amenities and even local views hand-picked by marketing managers. “Our customers appreciate our Neighborhood Views portion of our tours because it allows potential tenants to see where they’re going to live as well as a glimpse into the local community.” Said Phillips. Morgan and Helix will begin offering tours in summer 2018. MORGAN is a privately held national developer and manager of Class A multifamily properties. With headquarters in Houston, TX, MORGAN specializes in upscale urban construction and third-party property management across the United States. Since 1988, MORGAN has developed over 20,000 units at a cost of $3.1 billion with a $500 million project pipeline currently in development or under construction. For more information about MORGAN, visit www.morgangroup.com. Helix Media is a leading supplier of custom-designed multifamily virtual tours in the United States. Filmed by professional photographers using proprietary equipment and designed by experts who have years of web and graphic design experience, Helix Tours are the virtual tour of choice for luxury multifamily community managers. Helix Media is headquartered in Houston, Texas, and provides next-generation virtual services in all markets across the country. 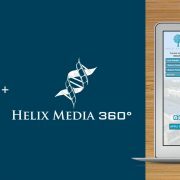 To learn more about Helix Media, visit www.helixmedia360.com.